Netflix has dropped two huge bombs this morning, announcing the release date of Queer Eye's third season and teasing a brand new Carly Rae Jepsen song. The hit show will return to the streaming service on March 15. As previously reported, it will see the Fab Five travelling outside of Georgia and heading to Kansas City. The release date was announced in a new trailer that gives viewers some insight into Tan, Bobby, Antoni, Karamo and Jonathan's group chat, as well as previewing CRJ's new track "Now That I Found You." The Canadian singer hinted at the reveal last night (February 12), dropping a clue with the song title's initials on Twitter. The full single is available to pre-save on digital streaming services here. 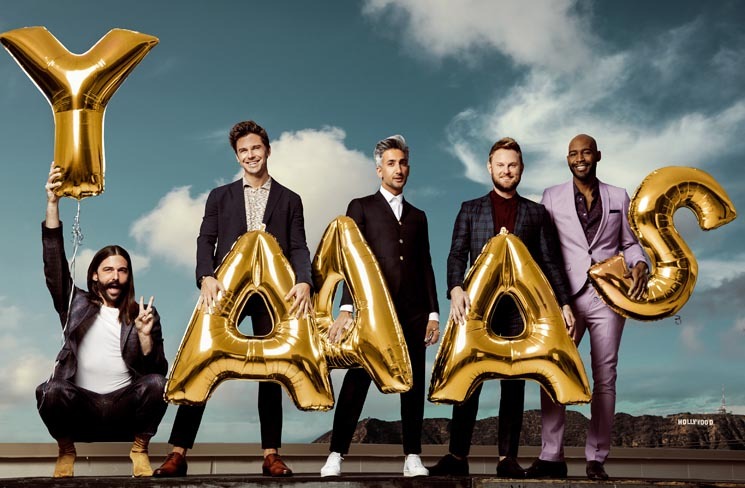 It's a lot to take in at once, but you can watch the trailer for Season 3 of Queer Eye below. You can also see each member of the Fab Five's own personalized trailers below.